When you begin your search for a new home, you will also be searching for the best loan program and lender for your specific needs. Knowing the terms and costs for your loan is crucial to making a good financial decision, since fees charged by a lender can affect your monthly mortgage payment. The whole process can often be a bit overwhelming and leave you wondering whether you were able to negotiate the best long term solution for your finances. One of your best alliances in your financial advisor, so I asked a few questions of a financial advisor I know. 1. How should consumers compare one lender's offer to another? All mortgage lenders are regulated to present data and terminology in the same manner across the board. Consumers should compare one lender’s offer to another by reaching out to three different mortgage lenders and asking for a Good Faith Estimate “GFE” electronically through email (make sure the lenders are using the most updated GFE forms as well). Once received, look at the interest rates and terms to make sure it’s what you agreed upon. Ask about their fees and what the cost of each is, so you can compare. Many lenders lump several fees together - ask them to break it down so you can compare specifics. Some of these fees may be appraisal, processing, underwriting, points, etc. Be sure to check to see if the lender offers lock-in rates and then compare this fee across the other offerings. If you need a 90 day lock, know the cost from each lender. 2. What criteria should consumers use to choose which lender to go with? Some criteria we look for when advising a client about which lender to pick is to make sure the mortgage lender or bank is financially in good standing (not facing possibly bankruptcy or major pending lawsuits). What is the reputation of the mortgage lender or bank (review ratings by others at such sites like LendingTree)? Lastly, choose a lender that has a long history in the business and knows what they are doing. 3. 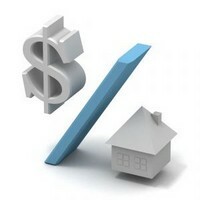 Why would a consumer choose a lender who presents a higher quote? A lender who has a higher quote on fees, but a lower rate may not always be the best and the same can be said for the reverse situation. A lender who has more negative reviews than positive or friends and family have had experienced bad outcomes with may need a second look. A lender who will offer advice, has experience, and personal service may serve your needs better than a place where you are just a number. An inexperienced lender who does not get you closed on time can cost you more time and money. 4. How can consumers spot a quote that's too good to be true? Consumers can spot a quote that’s too good to be true by first checking what the mortgage lender is offering in terms of interest rate and then quickly researching online the current 30- or 15-year fixed mortgage rates in the market (it's very rare that a consumer will receive rates lower than what they are currently trading at or near in the market). Even if consumers find they can get the very low interest rate they should then look at any charges associated with obtaining the great rate. Many predatory lenders will likely overcharge you elsewhere or put you into a loan that you didn’t want with the correct interest rate advertised. 5. By how much could the borrower's final costs differ from the original quote? If your lender is accurate and honest about their initial GFE, the cost should be the same or less in comparison to the settlement statement (Section A) at closing. Should there be a difference between the GFE and settlement statement at closing, HUD considers this Breached Tolerance. HUD has a zero tolerance on origination charges, points for locked interest rate and government transfer tax. They also allow for an adjustment to origination charges after the rate lock. The other section “B” (appraisal fees, title company fee, etc...) could possibly increase anywhere from 5% to 10% of the initial cost. These are generally services the buyer chooses. Knowing how your mortgage will affect your finances over the term of repayment is crucial to your long-term financial success. Be sure to consult with your trusted advisors. About Xavier Epps: Mr. Epps is a Financial Advisor and owner of XNE Financial Advising, LLC for financial success, where he serves his clients with expertise in cash flow and debt management as well as tax accounting. He aspires to be a philanthropist of better financial literacy outreach for children and young adults so they’ll be better poised for financial success. Read his latest newsletter about tax cuts and the effect on your income. Yes these are correct. Good to know that there are blogs like this to guide people especially those who are not really familiar of these certain things. At least there are post like this to help them answer the questions on there minds. Thanks to you. As a loan officer myself, I would advise borrowers wanting to recieve mutliple quotes, to call the differnt companies one right after the next as rates can change dramatically in a days time. Thank you for posting this. This will definitely help family to choose the best home for their family and also for their budget. Buyers should be also wise in choosing what fits the need of the family. This post surely answered the question of many like me. Again, thank you. We always recommend, when searching for the lowest interest rate, get all of your financials into the mortgage lender or lender or state you've selected to handle your financing. Choose to three mortgage lenders up front that you feel can give you the best choices and combinations of rates and costs then compared each mortgage lenders rates on a daily basis. In our market, we offer Santa Rosa refinance loans, for all credit types that is conventional, FHA and government loans they're pretty much the full gamut of available programs in the market today. I agree with you. If you are a buyer, be sure you have the right partner in finding a home that does not only offer comfort and luxury but also it is worth what you pay for. So buyers be careful and be wise. People like me who is not very familiar with these things are very grateful you shared these tips. Good job! keep it up! This is great info..as a Realtor it's refreshing to see someone looking out for the buyer...often mortgage lenders don't break down things enough to buyers in my opinion.